I am so happy to be here with you today. 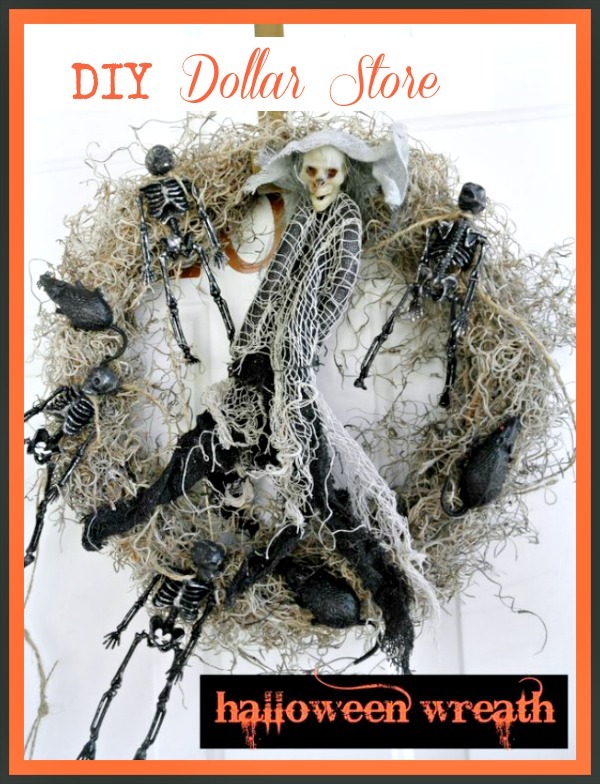 I am excited to share my DIY Halloween Wreath Made Easy. SO easy and fun. 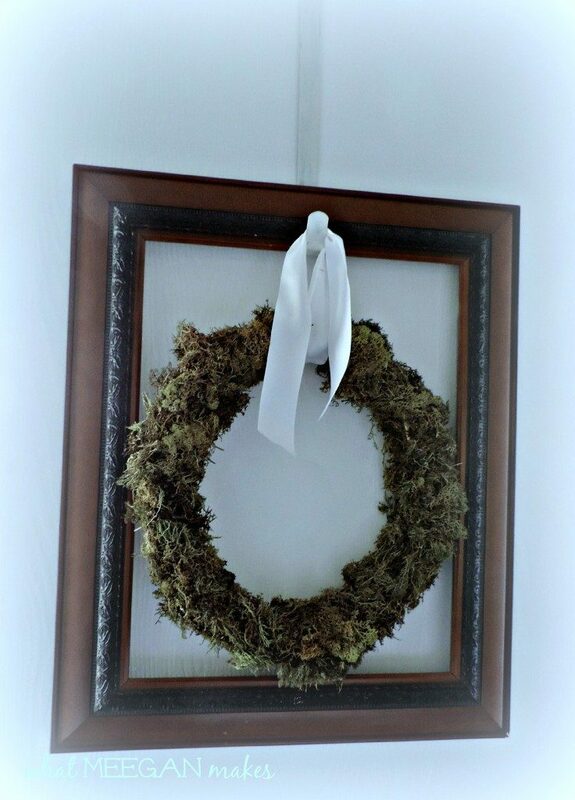 Awhile back I shared with you how to make a moss wreath. Easy, inexpensive and very posh looking when you are done. 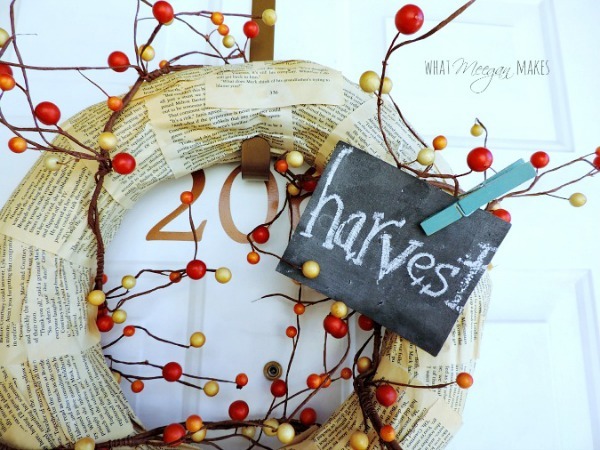 During the Fall months our front door is usually decorated this lovely wreath. I like it because it is inviting, and just the look I like. I know, I know-it is still Summer. But I need to face reality that Fall is coming soon. So I made a Halloween Wreath for our front door, using the Moss Wreath tutorial. Fun and easy. My first step was to visit the dollar store. I was excited to create a DIY Halloween Wreath Made Easy. 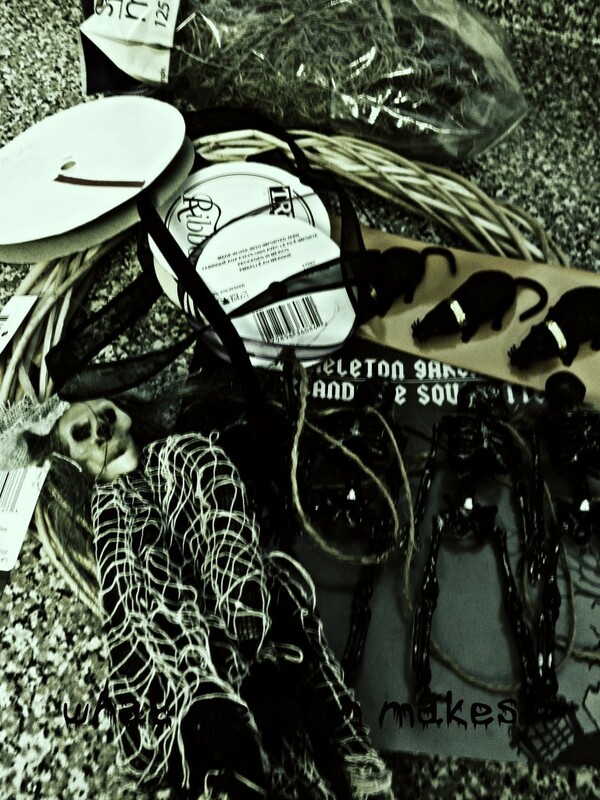 I purchased creepy items: a scary witch, skeletons, mice and spiders. That was the easy part. I thought my neighbors and grand-kids would LOVE these scary pieces. The mice, a witch, a skeleton garland were a great way to get started. Using leftover ribbon from other projects in various colors would add some variation. Making a make a moss wreath like I did here was a great way to start. 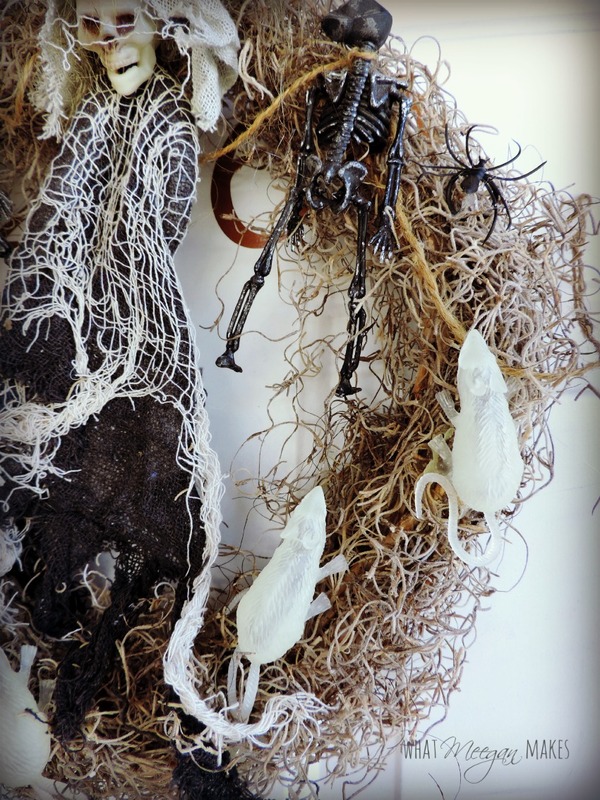 Using a hot glue and twine I attached all of my creepy items to my moss wreath. 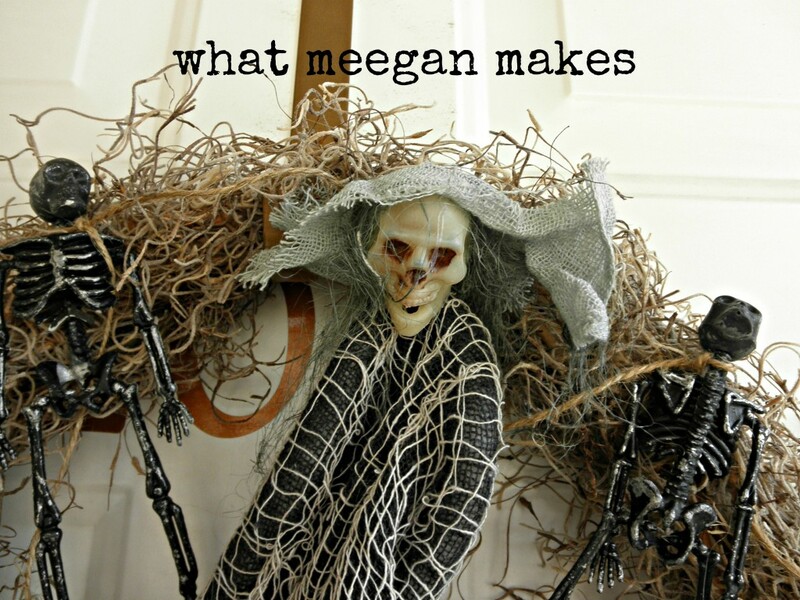 I love how the twine is around the skeleton’s neck. Cool fact! The mice glow in the dark. How fun is that? The spiders are rings that you can purchase with several in a package. Yay! I finished my wreath. Instead of an inviting, cottage door, is now a creepy door ready for Trick or Treaters, I have a DIY Halloween Wreath Made Easy. Woo! What are you doing to welcome your Trick or Treaters?? I would love to see your ideas!! 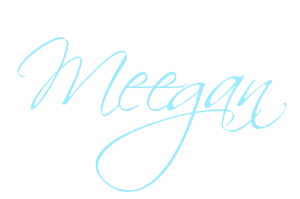 So cute and creepy, Meegan. I love it! We don’t normally decorate for Halloween, but I’m thinking I might do a wreath. Thanks for the inspiration! 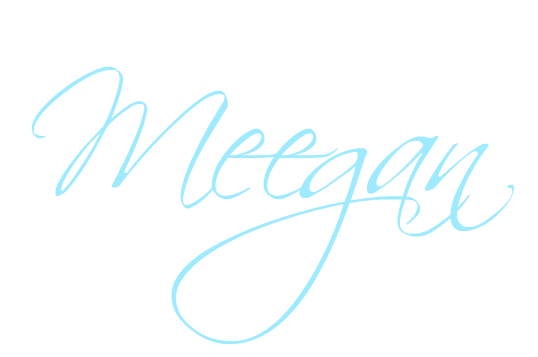 Thanks Heather!! Let me know if you make a wreath-I would love to see it!! Looks great! I love how your wreath is creepy, not cutesy. Thanks Shannon! I am glad I acheived my goal of creepy :) Come back again soon!! It turned out nice & creepy, perfect for Halloween! Thanks Anna! It was a really fun project!! Have a great evening! Randy said this is “peppy.” That means creepy. :) He can’t wait for Halloween. 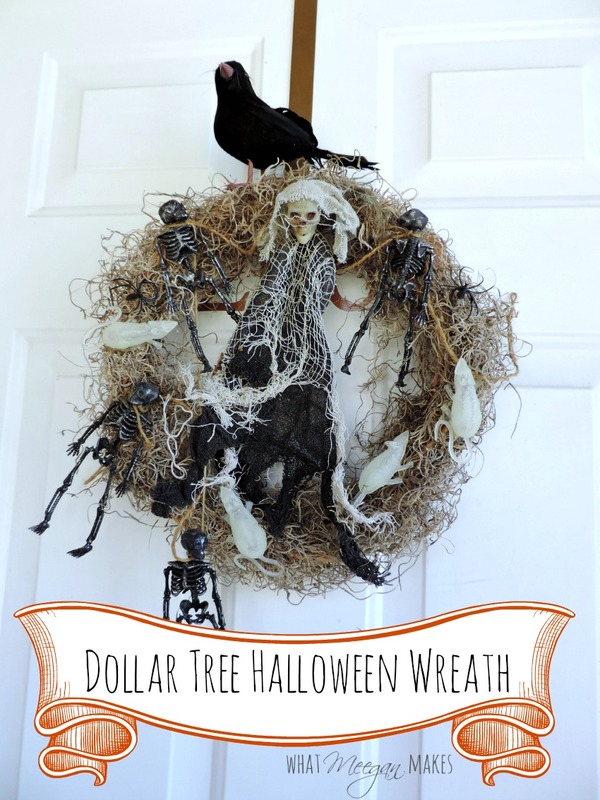 My kinda wreath right here Meegan….creepy crawly fun! Nice job girl. Thanks for sharing. Oh how fun and scary! You have a creepy side that helped you rock this wreath. Who knew? Your door looks spooky but cute. I like the fact that the mice glow in the dark, what fun.